ArcGIS and ArcFM Viewer products were developed as the main platform for viewing and analyzing GIS data. Tracing functionality tools is essential to utility engineers' daily analysis. GIS-based tools support MEW's core businesses while also providing a secure GIS data repository. 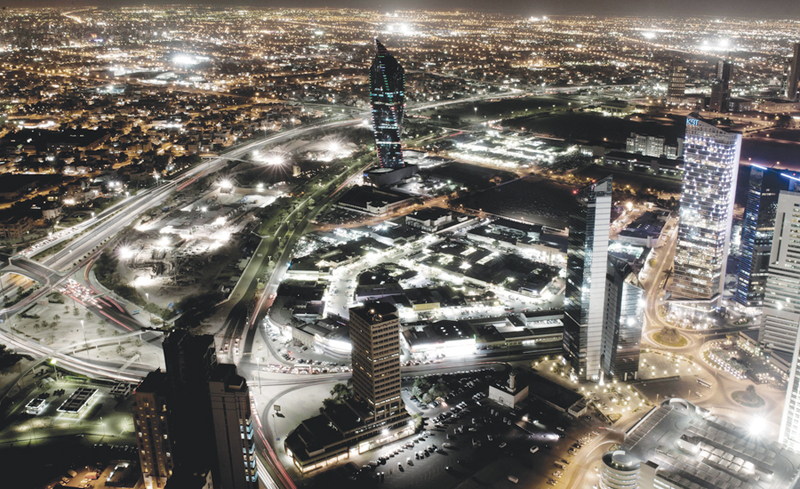 The Ministry of Electricity and Water (MEW), headquartered in Kuwait City Safat, Al Assimah, Kuwait, is responsible for providing electricity and water utility services to more than three million consumers. As the demand grows annually, MEW faces many challenges in aligning its strategic and business decisions to meet increasing demands. One of the maps for the electric transmission network sector showing the overhead line and the primaries substation on Kuwait state. 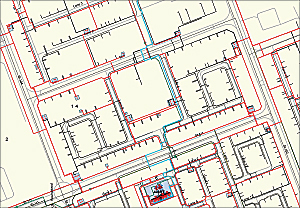 To retrieve maps, drawings, and other data when needed, for years it was all maintained at the Directorate of Engineer Drawings for both archiving and updating whenever there were changes of the water and electricity networks. The archive included pressure measurements, street lighting data, original photos, microfilm, and the as-built drawings provided by contractors after the completion of projects. 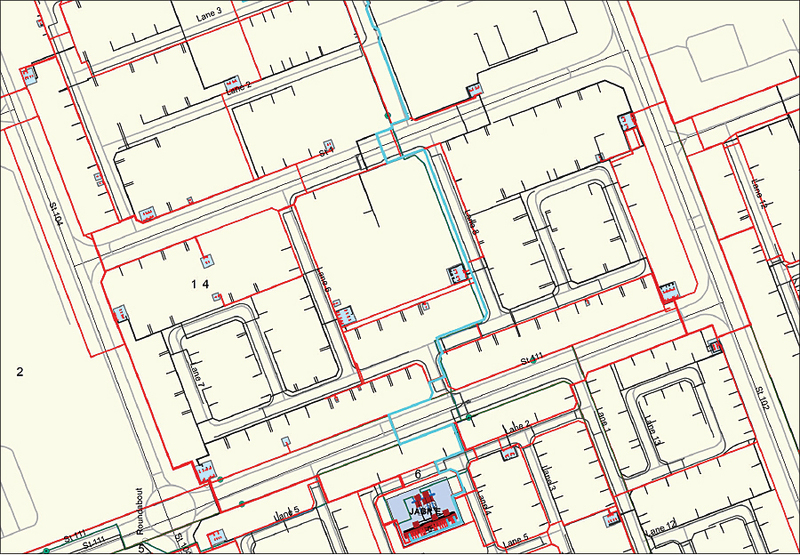 In addition, the Directorate of Electric Network Design archived 16,000 paper maps in different shapes and sizes and some in bad condition, including 200 CAD maps. By 2012, frustrated by this difficult-to-maintain-and-access, manual system of storing maps, engineer Abdulla Al Osaimi, head of the Section IT Department and GIS manager of MEW, was determined to make improvements. Following an exhaustive search, he approached Esri's Kuwait distributor OpenWare Information Systems Consulting Company (Hawalli, Kuwait), as well as Esri Platinum Tier Partner Khatib & Alami Lebanon (Beirut, Lebanon), and together, this team created the GIS Project, which focuses on carry-out services and provides an integrated GIS utility business solution based on Esri's ArcGIS software and ArcFM software from Schneider Electric (formerly Telvent Miner & Miner) of Fort Collins, Colorado. The solution included application software packages to provide an efficient and cost-effective business system to support MEW's core businesses in planning, operation, and management, while also providing a secure GIS repository for conserving electricity and water data resources. Electric transmission network tracing in Kuwait. The first task was scanning all paper maps and CAD drawings and then converting them into a GIS format. Since not all the records of Kuwait's electric network were available, in August 2012 survey teams collected the missing data, using GPS devices to validate the data. This data was then added to MEW's enterprise GIS database. The implementation team developed ArcGIS and ArcFM Viewer products as the main platform for viewing and analyzing GIS data. ArcFM tracing functionality tools are essential to utility engineers' daily analysis, and this tool includes options to trace source destination, trace from service point to transformer, and trace power transformer circuits. The project implementation team also developed the electric facility siting application to assist the decision-making process and minimize the time required to execute frequent requests of supplying electricity, for example, to a new building connection or a new meter connection; to increase customer subscription rates; and to perform other customer-related transactions involving the distribution network. The application performs spatial and electrical analysis in terms of power supply, voltage drop, and alternative energy sources based on land base layers, customer information, network layout, and MEW standards and criteria. For more information, contact Abdulla Al Osaimi, engineer, GIS project manager, head of the Section IT Department, Control Centers Sector, Ministry of Electricity and Water, Kuwait; Mohammad Aouad, senior GIS specialist, OpenWare Information Systems Consulting Company; Wael AbuGharbieh, GIS project manager, OpenWare Information Systems Consulting Company; and Anas Homaidani, business development manager, OpenWare Information Systems Consulting Company.